The Lehigh men’s lacrosse team jumped out to a 7-3 halftime lead and fought off Stony Brook’s early second-half charge to win its second straight one-goal thriller over a nationally-ranked foe, 12-11 on a sun-splashed Sunday afternoon. Senior Dan Taylor led the offense with seven points (two goals, career-high tying five assists), his fifth straight game with five or more points, while junior Reid Weber posted five points behind four goals and an assist. The Seawolves began the second half on a 5-0 run to take an 8-7 lead, but the Mountain Hawks answered with two goals in the span of 55 seconds, from sophomore Matt Raposo and senior Cody Ferraro, and Lehigh wouldn’t trail the rest of the game. Raposo finished with a career-high two goals while Ferraro scored his first goal of the season. 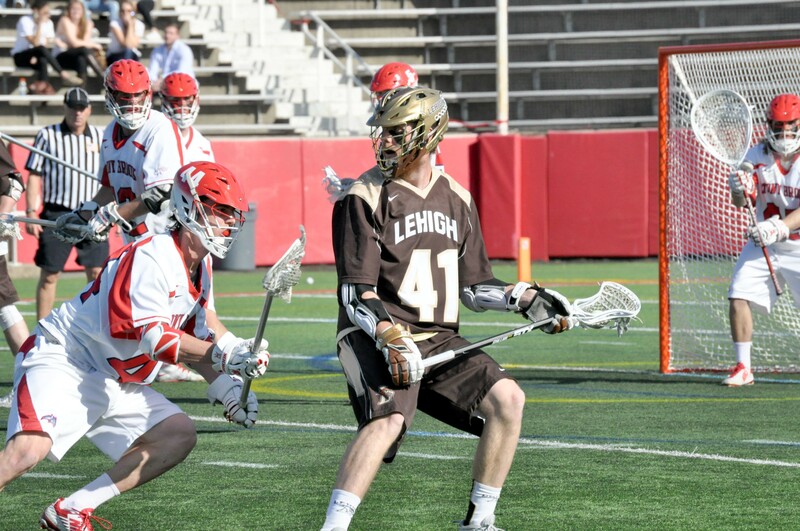 The game was a homecoming for Ferraro and several Lehigh players from Long Island. Junior long pole Casey Eidenshink and senior Lukas Mikelinich each tallied two groundballs and three caused turnovers as the Mountain Hawks held one of the nation’s top scoring offenses more than three goals under its average. Lehigh jumped out to an early 2-0 lead behind goals from senior Alan Henderson (also a Long Island native) and Weber. The Seawolves answered with two straight to even the score at two early in the second. 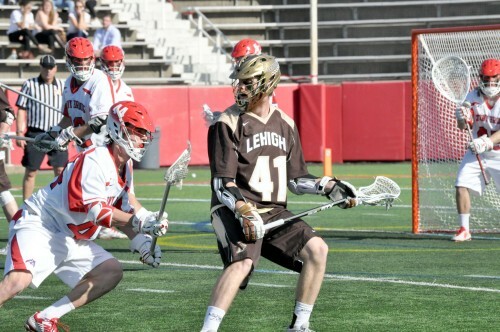 The teams traded goals before Lehigh used a 4-0 run to spring into halftime with a commanding 7-3 advantage. Taylor scored twice in that run, and dished an assist to Raposo on the man advantage. After Stony Brook’s 5-0 run to begin the third quarter, Raposo corralled a groundball off a save and from mid-air, beat Seawolves goalie Hayden Johnstone to even the score at eight. Just 55 seconds later, Ferraro fired one past Johnstone, off a feed from Taylor, to make it 9-8 with 4:03 left in the third. Stony Brook tied the score with 12 seconds on the clock, but Lehigh answered with the first two goals of the fourth quarter (both assisted by Taylor) and three of the first four. A Weber extra-man goal (also assisted by Taylor) made it 12-10, which proved to be the difference. Stony Brook’s Lucas Rock scored at the 1:25 mark and the Seawolves had a chance in the final seconds to tie the score, but Lehigh came up with a big defensive stop to walk away with the victory. Final shots were 35-31 in favor of Stony Brook while groundballs were even at 31. 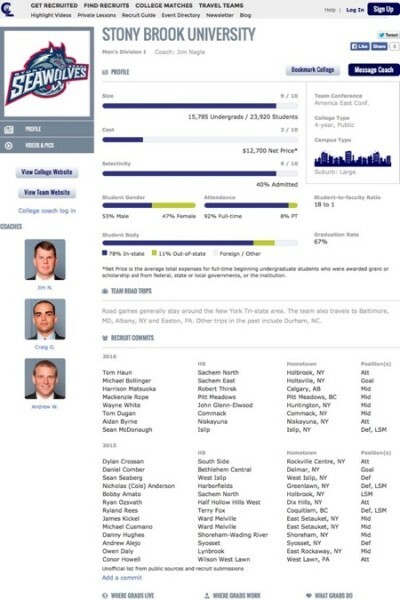 The Seawolves won 17-of-26 faceoffs. Senior Matt Poillon made seven saves, including three in the fourth quarter, in a homecoming game for the Mount Sinai native. Johnstone finished with eight. 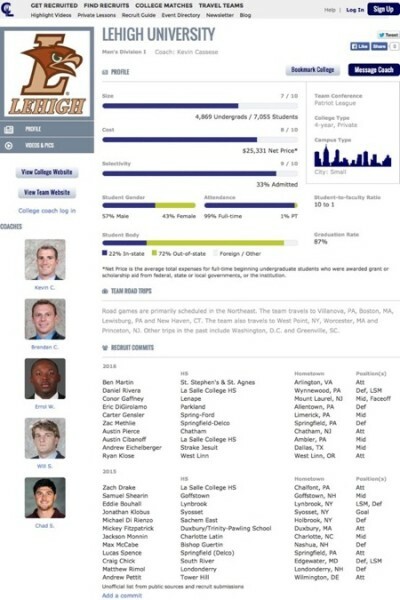 Lehigh turned the ball over just seven times as a team. The Mountain Hawks wrap up the regular season when they host archrival Lafayette on Friday (Apr. 17) at 7 p.m. With a win and a Boston University loss to Holy Cross (played at the same time Friday), Lehigh would advance to its fifth straight Patriot League Tournament.